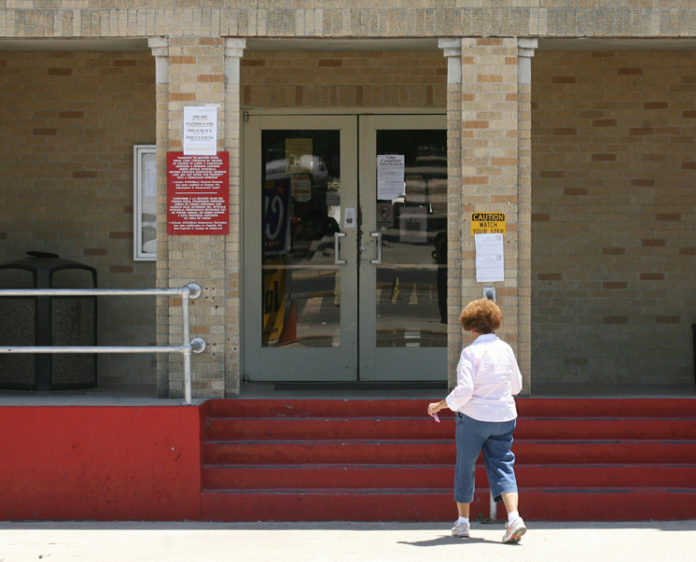 Starr County officials will again have to modify their electioneering and property use policies after a federal judge has continued to find problems with the updated language. During a hearing in federal court Tuesday, U.S. District Judge Randy Crane denied a motion to block the latest versions of the county’s policy, instead allowing them 30 days to make revisions. “The county itself had already offered to make some revisions — listing all of the parks and make sure that all of the parks were listed (and) the hours of operation,” said District Attorney Omar Escobar. The continuing changes began after the Mexican American Legal Defense and Educational Fund and the Texas Civil Rights Project — or MALDEF and TCRP — filed a lawsuit and temporary restraining order against the county’s electioneering policy, which banned electioneering on county property, alleging it violated First Amendment rights. However, after Crane deemed the ban unenforceable during a hearing in February, the focus quickly shifted to the county’s property use policy. That policy essentially overrode the electioneering ban by allowing the use of county property, not designated parking zones, with a county-issued permit. Crane then granted a partial temporary restraining order on that policy. Since then, the county has updated both the property use and electioneering policues; however, Crane continued to find issues with it during Tuesday’s hearing. One of those issues was the policy’s prohibition of people gathering on county property during holidays. She said they had brought up the issues with the judge a few weeks ago and were able to secure a promise from Starr County that no one would be arrested for gathering at the cemetery on Memorial Day. The county posted a notice on its website stating it would not prohibit gatherings honoring veterans at any cemetery, memorial or park on Memorial Day, adding that the prohibition of the use of county property in their policy did not extend those public spaces. On Tuesday, Perales said they brought up the issue again as a reminder that it needed to be remedied. Escobar said the county will make revisions pertaining to the use of parks but continued to view the court’s actions as a victory for the county, arguing that MALDEF and TCRP were fighting for the use of parking lots for electioneering which the court previously sided with the county on in that parking lots should only be used for parking. Perales, however, viewed it as a partial victory for their side.